As we recall several excellent books and articles, 1968 It was a year of revolutions. Regimes were collapsing on this date ago 50 years, protesters filled the streets, and the worlds of music and film were being reimagined. even the Festival de Cannes He erupted in a noisy chaos of demonstrations. Shake five decades, No doubt, did not have the lasting impact than many had imagined. Ideas that change the game crashed and burned, removing them promising careers. In fact, He became great in the years 60 carefully study the rituals of survival instead of the keys to success. Given this understanding, it was decided to search for survivors proud three years 60 which not only they braved the destination but were able to build on the frenzy of the times: Francis Coppola, Billy Friedkin y Peter Bogdanovich. Their careers began to be packed in 1968. Today, They seem as passionate as ever to build on the past. Coppola has been in Paramount these days, organizing a series of readings of a great movie that will roll in 2019, a multigenerational saga of an Italian American family. Coppola has visited this area before, Of course, but this time not focus on crimes and thugs of his films The Godfather, but creative family destination. Coppola has also devoted much of their time and resources to create Cotton Club Encore, expansion and reissue of his film 1984. The new version incorporates five major musical numbers that illuminate and enhance the film gangster era. Distributors are highly motivated by the project. Coppola, Of course, continues to expand its other businesses - hotels, wine and food which, In his mind, They represent further the art of storytelling. Friedkin, on the other hand, He has been busy promoting her new movie The Devil and Father Amorth. The fascinating documentary takes the audience through a real exorcism, analyzing students with important psychological and religious implications of these ferocious interactions. Have passed 45 years since the launch of the award-winning thriller The Exorcist of Friedkin, including an exorcism staged. He also directed several operas in major world capitals, as it has done for several years, and preparing other films. Bogdanovich, on the other hand, He is completing work on a project famously incomplete: The other side of the wind Welles. 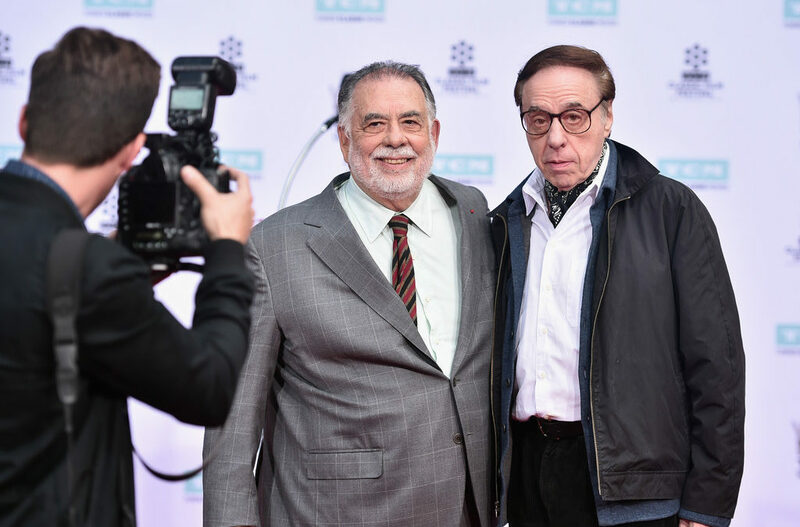 It has long, Bogdanovich and its partners have re-edited and restored the film based on the notes and assembled Welles film, and Netflix has committed to launch in autumn. It was supposed that the new version would be shown as an important event at the Cannes Film Festival this month, but that plan was canceled due to battles Netflix-Cannes: French theatrical distribution demand streaming service. Bogdanovich is also completing a documentary about Buster Keaton, but not for Netflix. It seems appropriate that the three filmmakers are consumed both the present and the past, since all were involved in an innovative company, conceived ago 50 years, which he sought to innovate and recreate.